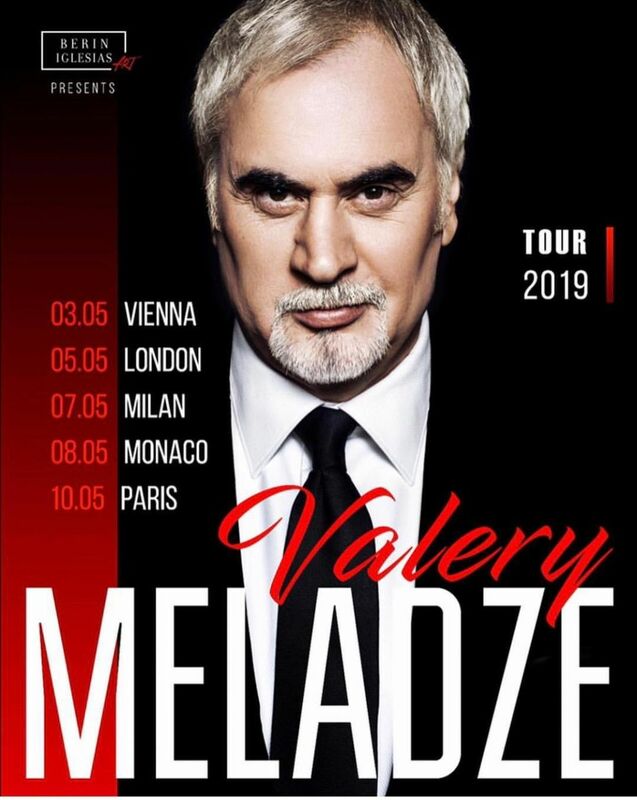 Berin Iglesias Art presents: Valery Meladze - one of the most acclaimed and beloved artists, whose popularity increases each year, - is going to give big solo performances in May 2019. He is often referred to as «the last romantic»: the inimitable voice, charisma and unique repertoire have brought him the love of many generations as well as various awards. All of his songs are filled with deep meaning. The composer and songwriter of Valery Meladze’s music is his brother Konstantin. The creative tandem encompasses the significant voice of a rare quality of one brother and the composer`s talent of another. Their music is an example of refined style and taste. Their unique creative collaboration is well known: the co created songs have become absolute top charts hits finding their place in the hearts of millions admirers. During the European tour you are going to hear the much beloved iconic songs as well as the new compositions. Each and every of these songs is a separate storyline and memory integrated in a one-of-a-kind concert evening.